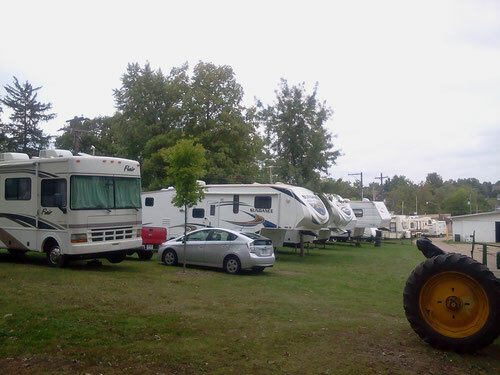 Camp at the Hillsdale County Fairgrounds - Website of hillsdalecountyfair! Great Place to get away!!!!! 1. Camping fees will be paid for each night the campsite is reserved, or camping unit is on the site occupied or not. 2. Each campsite is required to have a responsible adult (21 years or older), staying witht he group each night. Emergency contact person(s) and number(s) should be given to the office. 4. We feel that your pet is a part of your family, and is welcomed as such, but please keep it on a leash at all times. Pets are not to be tied outside unattended. Please do not leash pets to trees. NO BARKING DOGS. Animal waste MUST be retrieved immediately and properly disposed of. 5. Public intoxications, disorderly conduct, profanity and loud parties are not tolerated. 6. Quiet hours are 10:00 p.m. to 7:00 a.m. Sunday to Thursday. 11:00 p.m. to 7:00 a.m. weekends & holidays. 8. Firearms, bows & arrows, fireworks & air rifles are not permitted. 9. Campfires are not allowed. 10. THERE IS TO BE ABSOLUTELY NO DISCHARGE OF WATER OR WASTE ON THE GROUND, by order of the Health Department and the Agricultural Society. 11. Sanitary Dump Station fee is $5.00 for non-campers. Office business hours Monday - Friday 8:00 a.m. to 4:30 p.m., closed Saturdays and Sundays, for information please call (517) 437-3622 during business hours for further information.